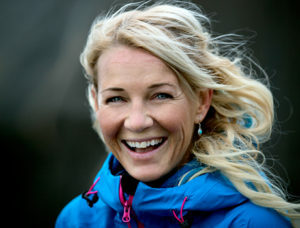 Annelie Pompe became the first world champion in a new area, having been deepest (free diving 126 m) and highest (Mount Everest 8 848 m). Her Life has been filled with challenges (world record in swimming under the ice, etc) and one very important success factor for her has been her systematic and long-term mental training. Annelie takes you on a adventurous journey to the highest mountain and into the deep ocean. She became the highest and deepest woman in the world thanks to finding mental training as a 15-year old girl. The talk will be about fear, courage and letting go.